In this work, a liver tumor segmentation approach is proposed using triplanar views, consisting of axial, sagittal and coronal planes. These three planes are integrated as the input streams for the Convolutional Neural Network (ConvNet). The main objective of including the input patches from triplanar views is to enrich the ConvNet with more context information to aid in the classification of liver tumor. The input patches are extracted from liver Computed Tomography (CT) dataset using center pixel of interests from the triplanar views. These patches are fed into the proposed Triplanar ConvNet. Pilot experiments were conducted to evaluate the efficiency of using triplanar views in comparisons with single-view from axial plane. The preliminary results achieved in this study revealed that triplanar approach yield better results than using patches only from single-view. 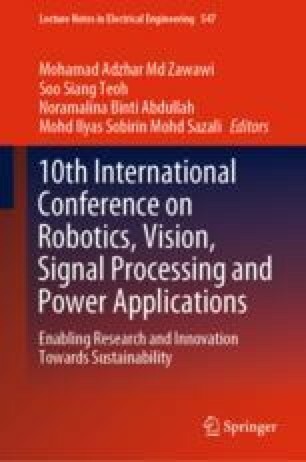 The authors would like to thank National Supercomputing Computer, Singapore (https://www.nscc.sg). The computational work for this article was done on resources of the National Supercomputing Computer, Singapore.